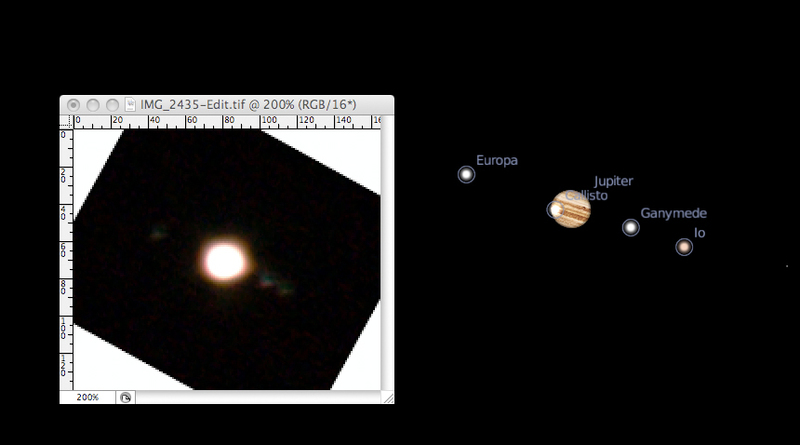 I finished reading last night at around three, looked out of the window and saw Jupiter, in the full glare of the moon, but still looking grand, so I got a shot and compared with Stellarium. I'm still always surprised what can be viewed easily without a telescope or binoculars! Note that Jupiter itself is saturated in order to get the moons at all. I almost bought a telescope last week, only to discover at the last minute it was another scam. The seller promised to sell it to me at a great price through e-bay, but when they e-mail came through it was from ebaypurchases.co.uk and the e-mail simply told me to pay through Western Union (never, ever a good thing!). A good scope would be a lot of fun!